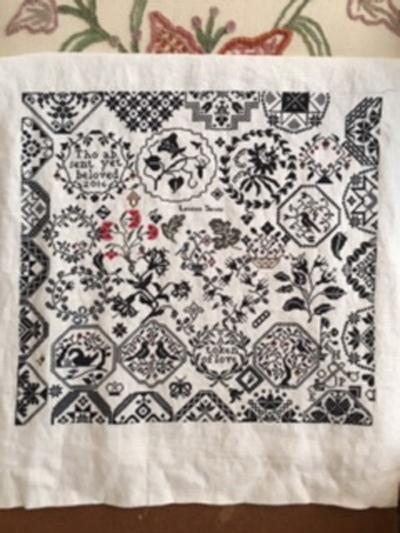 Let me introduce you to Hannah Waller and her fabulous 14 ½ x 15 ¼ sampler. Hannah was a scholar at Ackworth School, in North Yorkshire, in 1820-1821. She is mentioned by name in Carol Humphrey’s “Quaker School Girl Samplers from Ackworth School”. Hannah has quite a story to tell! 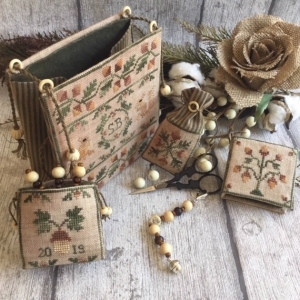 Your sampler is embroidered on 40 Count off white linen using 100/3 silk and a limited palette of muted threads from the Thread Gatherer. 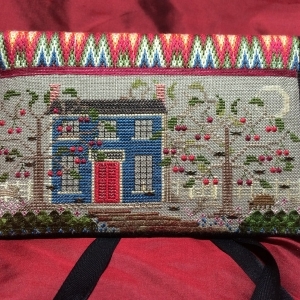 Hannah’s Sampler is stitched entirely in cross stitches, mostly over two custom to Quaker samplers, with personalization done over one linen thread and dominant color is Black. 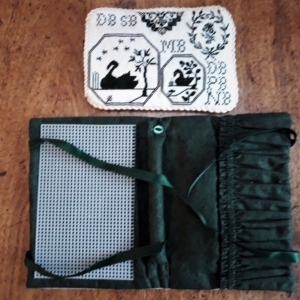 Kit includes: Chart packet contains charts, instructional text, 40 Count off white Linen, Needles, 100/3 spooled silk and The Gentle Art cotton threads. 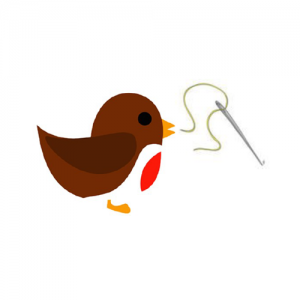 Please bring extra lighting and magnification if needed and normal stitching supplies. If using scroll rods linen is cut 20 x 21 in size.